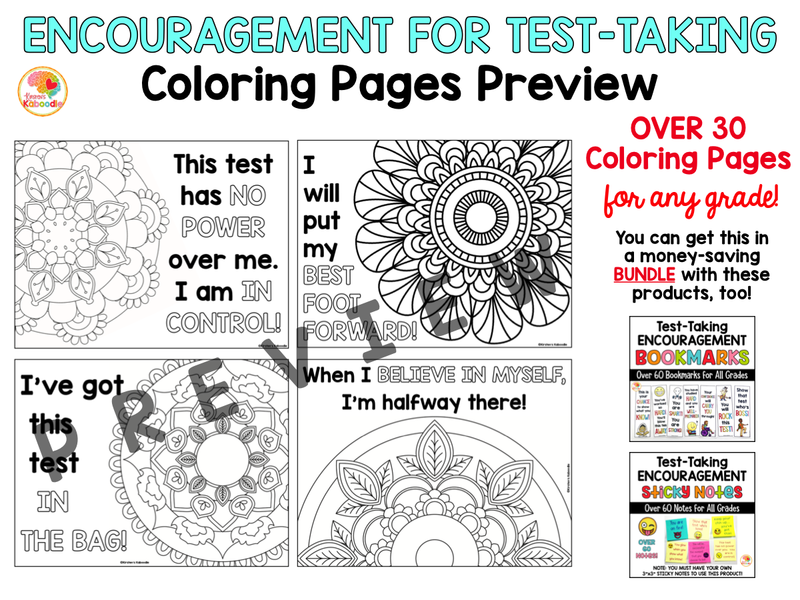 Mandala Coloring Pages for Test-Taking Encouragement! Do you want to encourage your students at test-taking time? Are you looking for unique ways to boost your student’s motivation and self-esteem? 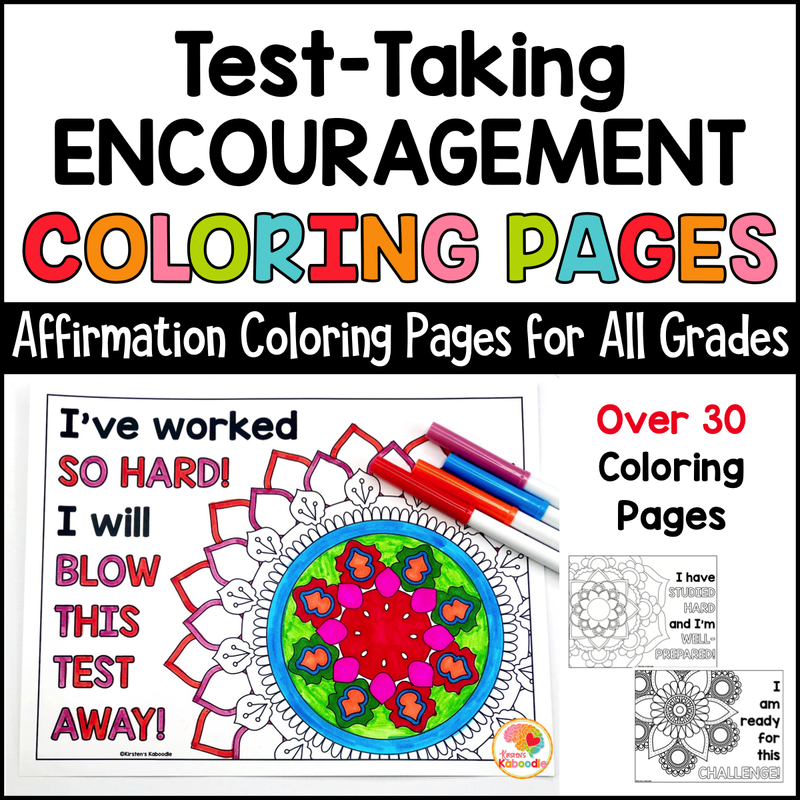 These encouraging positive affirmation messages can be used during any time of year with any grade level in order to inspire your students to do their best on high stakes (or low stakes) testing. 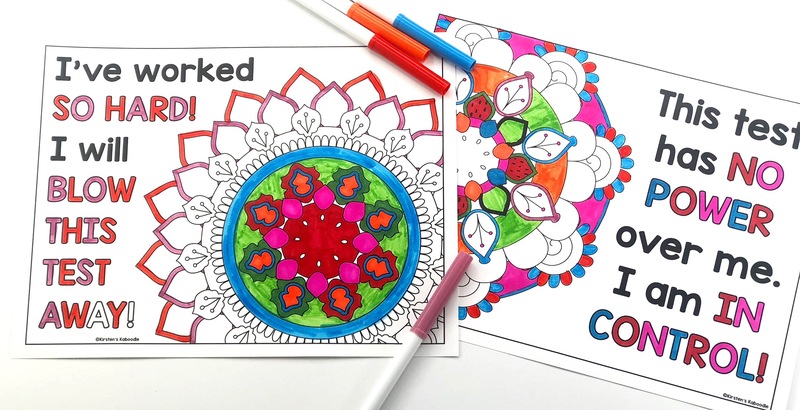 There are over 30 encouraging coloring pages with mandalas that are easy to prepare and can be used in a variety of ways. Teachers can allow students to use these during lessons on mindfulness, as they finish their testing sessions, or as a break from practice or test review. Allow students to choose which messages they need most to be successful on testing. This file contains 44 pages. Purchasing this product gives the purchaser ONE LICENSE to this product. This allows the purchaser the right to reproduce this product for HIS/HER class ONLY. Duplication for an entire team, school, or school district is strictly forbidden. If other teachers would like copies of this product, please direct them to my store. You may not reproduce, redistribute, or post this item on a blog or website for download (free or paid). Copying any part of this product (even for a classroom website) is also in violation of the Digital Millennium Copyright Act. You may not modify, copy, or alter this product in any way. Please feel free to spread the word about this product via social media or blog post. A link to the product (or my store) is much appreciated.